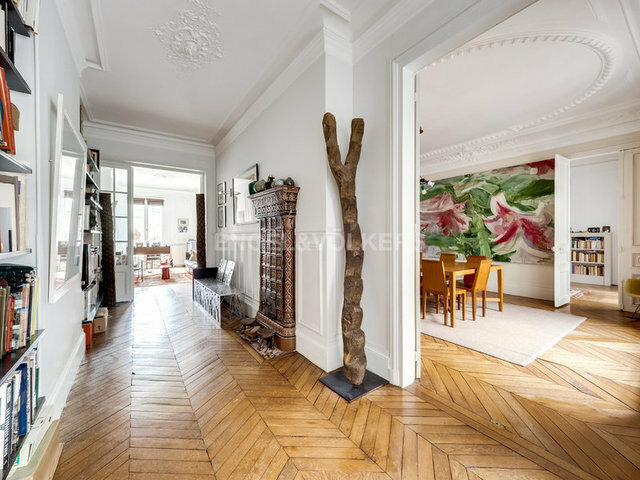 Engel & Volkers has the pleasure to present you for sale, in the heart of the 1st district of Paris, close to Comedie Française - Gardens of the Royal Palace - le Louvre and les Tuileries. An exceptional apartment in perfect condition, on the 4th floor of a prestigious building (Haussmannien 1860). 5 rooms of large volumes on a surface of 223 m² loi carrez. Living room, dining room, equipped and separate kitchen, 3 bedrooms, 1 bathroom and 2 shower rooms, dressing rooms. Exposed south-west, very bright, clear view, moldings, parquet point of Hungary, chemneys, balcony running, elevator, guardian and 1 cellar which completes this good.